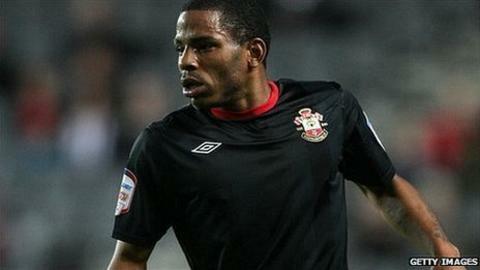 Southampton midfielder Jason Puncheon has settled his row with chairman Nicola Cortese and has resumed first-team training with the club. The 25-year-old has not played since returning from a loan spell at QPR and criticised Cortese on Twitter. "I'm not going anywhere," Puncheon tweeted. "Gonna sit and train with the kids for 18 months, see how Cortese likes that, then go on a free." But Puncheon has apologised and has now been given a squad number. "Thankfully Nicola is a forgiving person who has the club's interests at heart," said Puncheon. "He has told me that the slate has been wiped clean and I can have a fresh start. "He wants me to do the things that I am good at and it is down to me now to go and do that on the pitch. "I admit my mistakes as a grown man, both my actions over the weekend and for the things that have occurred in the past, so I am pleased that Nicola has accepted my apology and granted me a clean slate."